Trips to Myanmar are unforgettable experiences. Unspoilt and pristine, dotted with thousands of temples and glittering pagodas, colored by its colonial history and characterized by its polite, kindly population, Myanmar (formerly known as Burma) is a unique experience to include in your trip to Asia. 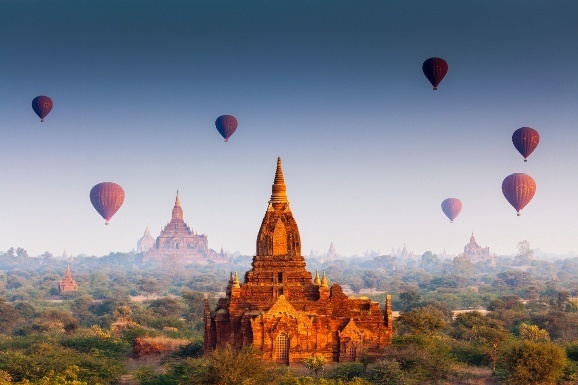 The crumbling ruins of beautiful Bagan will take your breath away! With more than 2,000 temples, the city, located near Mandalay, gives you the impression of being truly ancient. As the seat of the Pagan Kingdom for centuries, Bagan embodies the wizened, old spirit of Myanmar – a reason why it’s a haven for history enthusiasts. Do: Don’t forget to take a stroll through the Nyaung U market for some truly wonderful sights and smells. A balloon ride over this beautiful landscape – one of the largest archaeological wonders of the modern world, is a surreal experience! Explore Mandalay on Asia custom trips. The last royal capital of Myanmar is also known for being the ‘cultural hub of Myanmar’. Built around the Royal Palace (which you must visit), bustling Mandalay will offer you exquisite examples of artwork and craftsmanship! Heavily influenced by Chinese culture, thanks to the influx of immigrants from Yunnan, Mandalay is home to various ethnic groups and to numerous temples, pagodas, churches and mosques. Do: Take a look at the largest book in the world, safely ensconced in stone on the grounds of the Kuthodaw Pagoda. Don’t forget to visit the unfinished yet breathtaking ruins of the enormous Mingun Pagoda that are just a boat ride away on the Irrawaddy river. 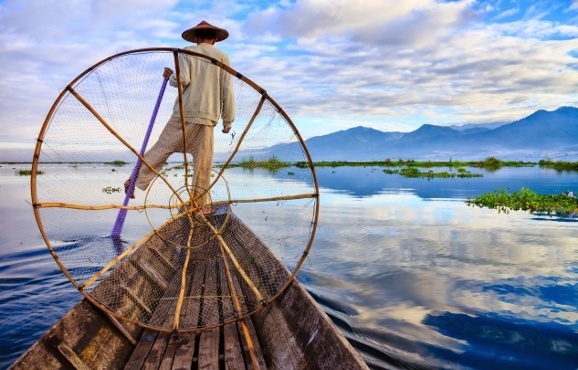 If it’s peace and tranquility you are after, Inle Lake should be on the top of your list. There is plenty to do here – the lake, lovingly nestled amidst the soaring hills of the Shan plateau, boasts of charming floating gardens, quaint bamboo stilted huts and very friendly tribal people from the surrounding hills. 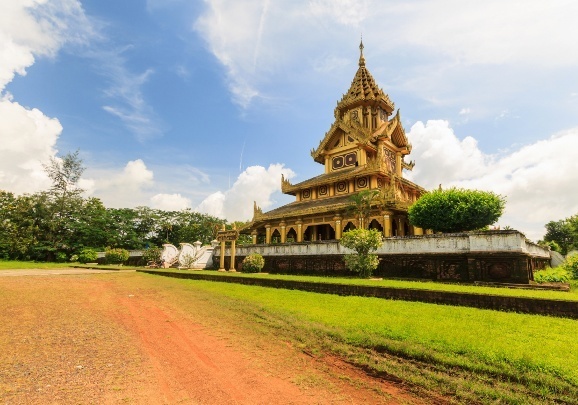 Do: The Phaung Daw U Pagoda on the lake with its five gilded structures of Buddha, is worth a visit especially during the festival that takes place in September. About three hours from the lake lies Pindaya, famous for numerous images of Buddha inside an intricate network of caves. The colorful streets and cultural diversity of Yangon, the largest commercial center of Myanmar, will blow your mind! A flourishing old port, centuries old traditions, and dazzling temples will make you fall in love with this city. The colonial-style buildings of Yangon bear testimony to its past as a thriving British colony. 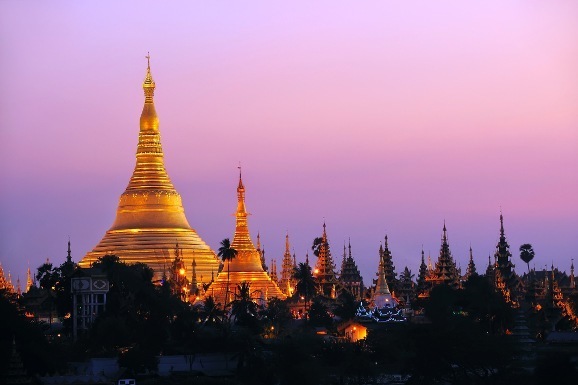 Do: Visit the 2,500 year old, glittering Shwedagon Pagoda – this architectural marvel houses numerous stupas, temples and statues, and the glittering gold of the pagoda during sunset, is a sight for sore eyes! Through its long history of change and strife, two things have remained constant in Myanmar – the spirit of polite resilience and the Thingyan celebrations every year. Assumed to have originated from the harvest festival of Holi in India, the splashing of water is still significant to the Burmese people – it’s a cleansing ritual to wash away old sins and start afresh in the New Year. This is the biggest celebration in Myanmar – a time when the entire nation comes out on the streets to douse each other in water, make merry and pay respect to the gods and their elders through various rituals. Do: Visit Kandawgyi Pet and Kabaraye Road in Yangon for some boisterous celebrations, song and dance rituals, and enthusiastic crowds. 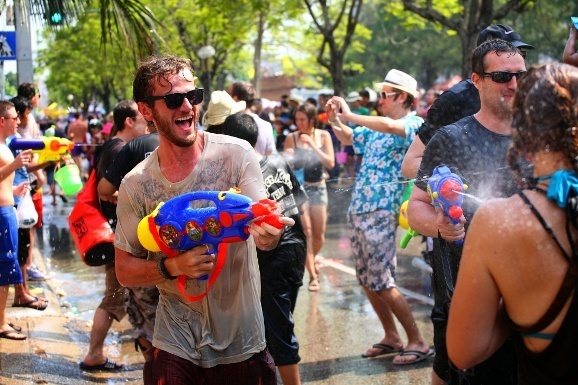 If the water festival is not really your style, you can always seek shelter at the quieter Ngapali beach or Kalaw. Click here for Asia custom trips. Fancy going to the world's largest rain dance in an exotic destination? Click here to start planning your Myanmar trip now. Hi. Looks like great trip. Can you send detail of available itineraries and side trips. Would guides and rides be like previous trip to India? Thank you. We would be delighted to share some information with you about Myanmar. One of our expert Asia Travel Consultants will be getting in touch with you.